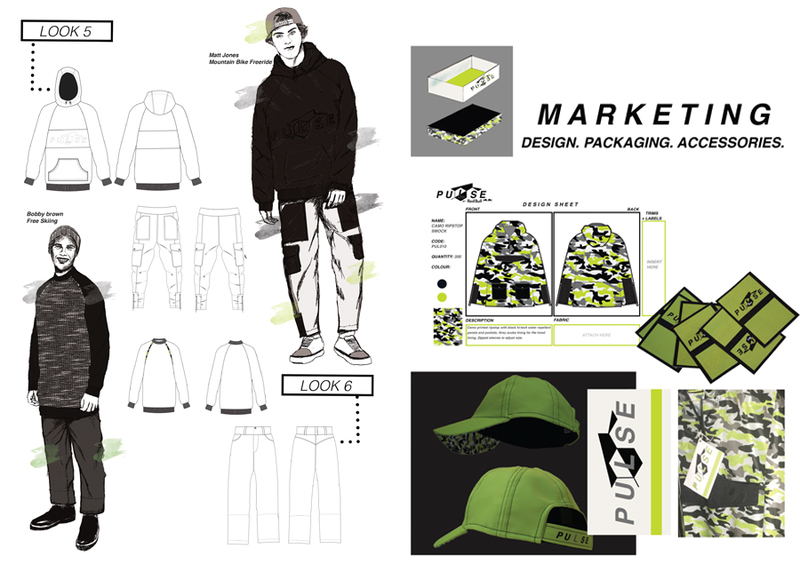 Project 1 (Final Major Project): PULSE is a hypothetical menswear brand extension for Red Bull. 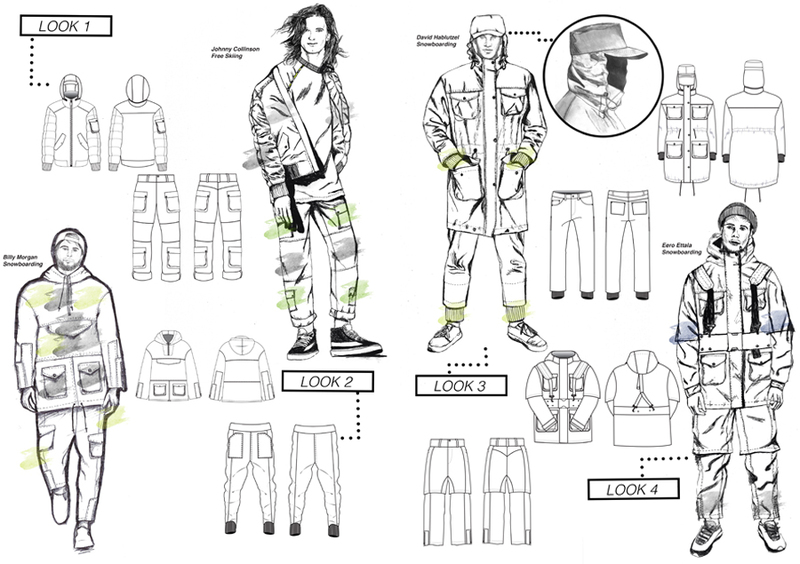 After carrying out a wide amount of research about what the “adrenaline rush” is, how and why people seek it, what the needs of the millennial males are and which other brands engage with extreme sports a premium clothing brand was formed. Project 2 (Follow on collection): In the second project PULSE introduces a print follow on collection for spring summer 19. 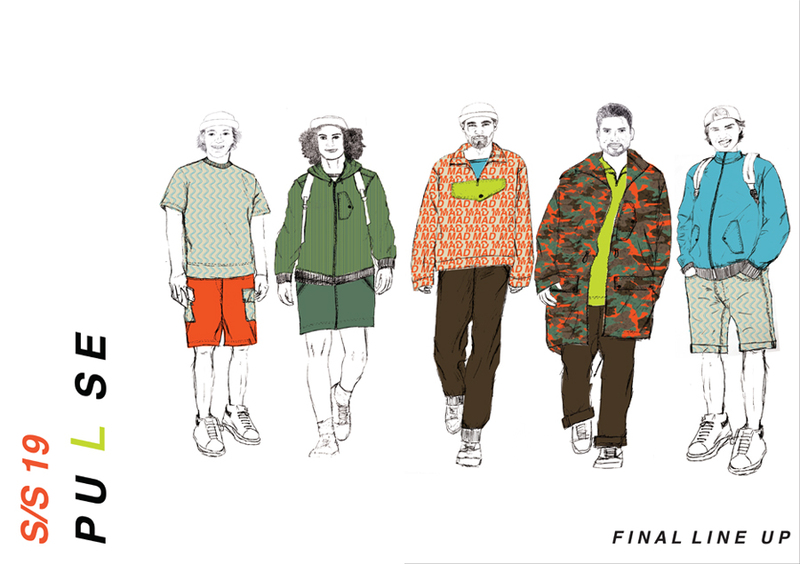 The collection shows a fun colourful collection developed from previous final major project research. 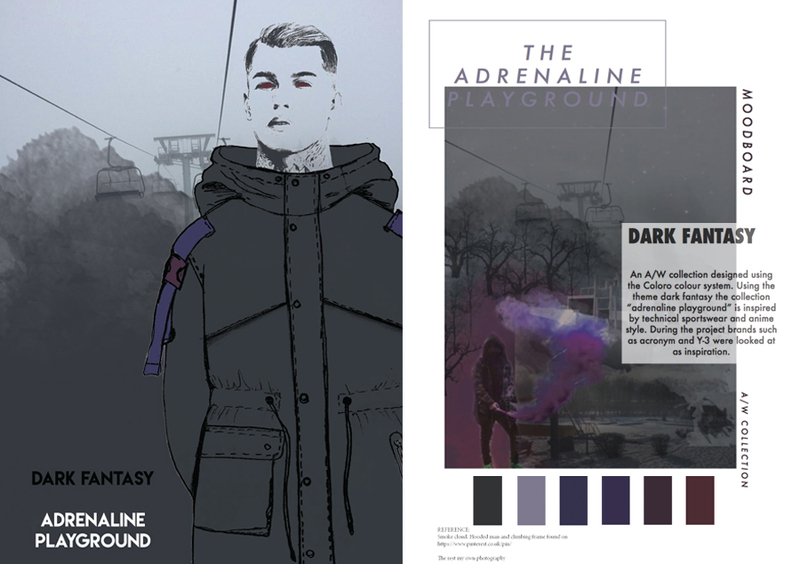 Project 3 (Competition) : The third project which was a competition submission for Coloro portrays the theme dark fantasy showing villain like characters, a mix of purples and ninja style silhouettes through sportswear. 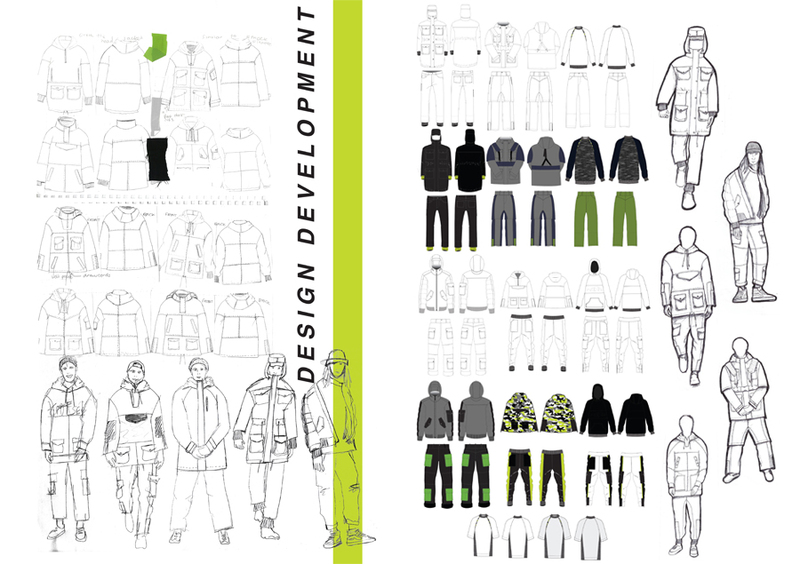 Project 4 (Second Place Competition) : The final project shown (ABLE) was awarded second in the Eleanor Worthington Prize an International Exhibition on Art & Disability. 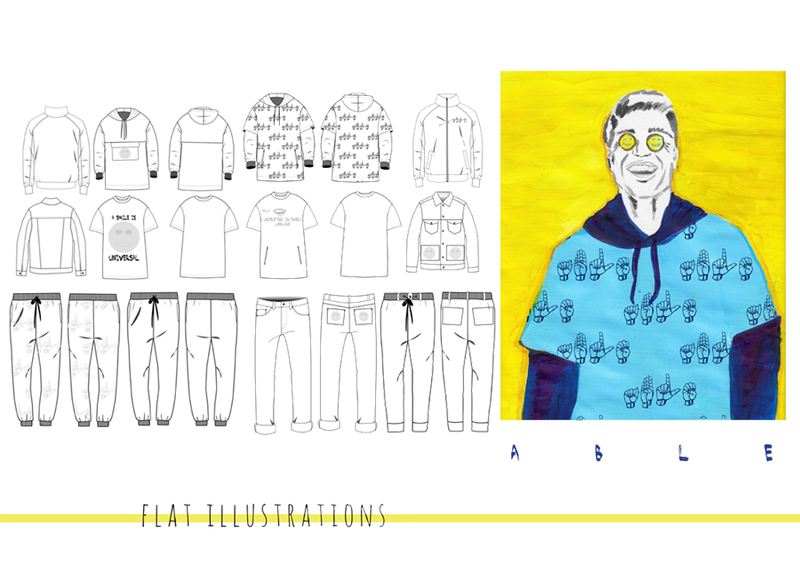 ABLE is a casual menswear collection that celebrates the use of expression and how we visually communicate. ABLE’s purpose is to help remind us disability is not inability.